The 13 stories in this entertaining set chart the activities of the world's greatest private detective from his sudden re-appearance after his supposed death at the Reichenberg Falls. Faithful Dr Watson recounts the "Adventure of The Empty House", the "Adventure of the Dancing Men" and others as with sharp observation and intelligent deductions, the supersleuth cuts through distractions and diversions to get to the truth. 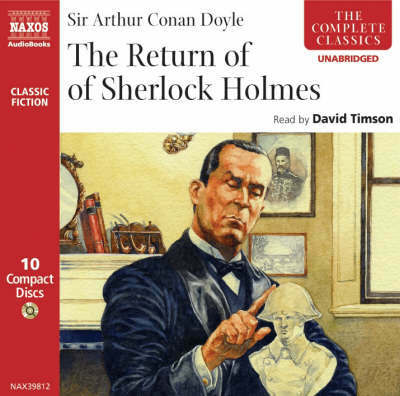 This is a companion set to "The Adventures of Sherlock Holmes".